As a stylist and blogger, attending New York’s Fashion Week is a must. This is where I can absorb the creativity and vibrancy of the fashion world and be renewed. The imagination and hard work of designers, models and everyone who puts together a show is tremendous. I can’t help feeling part of something bigger. For fall fashion 2018, expect to see bright colors, fun plaids, oversized coats, furs of all colors, embellishments like crystals, and pink, pink and more pink. Check out my videos of NYFW in live action for inspiration! One standout runway show was by Chromat, Autumn/Winter 2018: Wavvy. It’s more than a trend now to embrace our identities in culture, race, gender identity, and different body types. 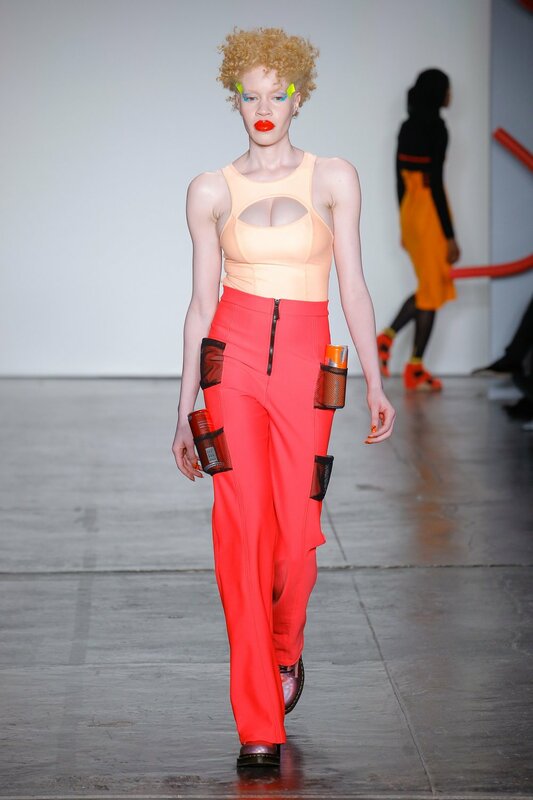 Chromat’s collection in swimwear and ready-to-wear is a hot, bold, energetic example of what’s great about being a real woman in 2018.